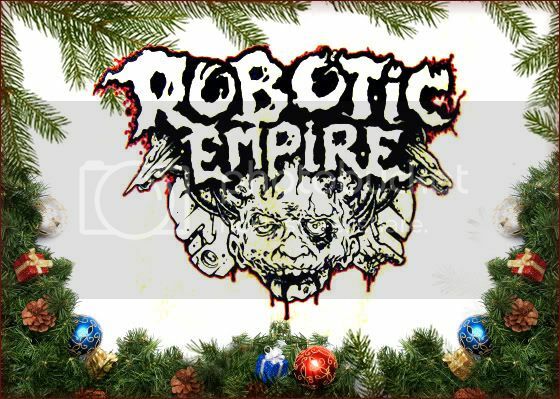 Robotic Empire news: Robotic Empire - holiday updates, DISCOUNT COUPONS, etc! Robotic Empire - holiday updates, DISCOUNT COUPONS, etc! Well folks the absurd holiday insanity is already rearing its ugly head here in the USA, and in order to avoid a post-office kamikaze we're "shutting down" the Robotic Empire - Online Store early this year. Come December 10th we can no longer guarantee orders will arrive in time for Christmas. That's right, if you want a present for you or someone else to show up before Xmas, get that order in NOW. We will continue to pack and ship orders as normal after the 10th, but make zero promises about them actually arriving before the end of the year if you order after December 10th. That being said, we're also stoked to announce that we're running a holiday promotion where all orders over $100 are entitled to 10% off AND a free t-shirt. We're trying to de-scrooge a bit and are offering up a free "Destroyer Zombies" Robotic Empire t-shirt to anyone who orders over $100... just let us know you're preferred size and color (comes on a black or white t-shirt) and we'll hook it up as long as the supplies last. HOLIDAZE is the coupon code to get 10% off all $100+ orders, and here's how you redeem it: Add stuff to your cart and check out as usual. After you sign in with PayPal, you get taken back to the Robo Store and THERE is where you enter in the HOLIDAZE redemption code, and right below in the "notes" box is where you should put in your preferred size and color t-shirt for the free "Destroyer Zombies" t-shirt. 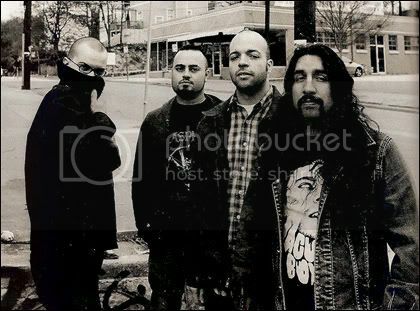 Last but certainly not least, we are honored to announce that TORCHE took the #1 position in Decibel Magazine's "Top 40 Albums of 2008" issue! We are so proud of our dudes that we dedicated an entire blog entry to this momentous occasion. It probably needs little reminder, but Meanderthal is available in an over-the-top vinyl package from Robotic Empire (found here in our Online Store), and on the CD format from Hydra Head Records. We're knocking off three bucks from the asking price for the LP until the end of the year as a little encouragement to the folks who haven't picked up the deluxe vinyl edition yet. That's it for now, get those holiday orders in before December 10th!